Thanks for the advice y’all I’ll try seating them longer. Welcome to the wonderful world of MP-Molds!!! They are all this amazing! So that it might help others, could you share what OAL you seated the boolits to? Somehow I missed this run. Is there any expectation of another re-run? Miha usually makes a few extras. Check with him, you MIGHT be in luck. If that happens update this thread with the info please. I deeply regret not getting the HP version of this great mold. I will wait for a reply from Mihec. Sutherpride59, did you ask if any extras existed? If none exist, I may wait a few weeks and restart a discussion to see if there is still enough interest. I look forward to seeing pictures from those that got them! The problem with starting a new discussion is that you will often find that MOST people who wanted one of these molds already got one. It will take a LONG time to go around again, and have enough people who add their names. I've seen second go arounds take over a year. The current rules for discussion is that any discussion that doesn't get enough "traction" in 90 days gets pulled from the discussion phase. I've already had a few drop out of the discussions for that reason. It's best to be checking the discussions as well as the active areas for molds. Moderators: If this is in the wrong spot please move it or let me know so I can. Thanks. Has anyone tried Plain base gas checks on one of these boolits? Does this mold work well for the ar platform? I missed out on this run. Yes, and has been suggested to others, contact Miha directly, and see if he made a few extras. You might be able to get one. I would suggest BOTH. One way or the other (or both) he will get the request. I contacted him and was able to get one. It arrived today. This is my 6th mold from him and it never gets old gazing on the new ones. Time to take some pics then wash and heat cycle. Do contact him. 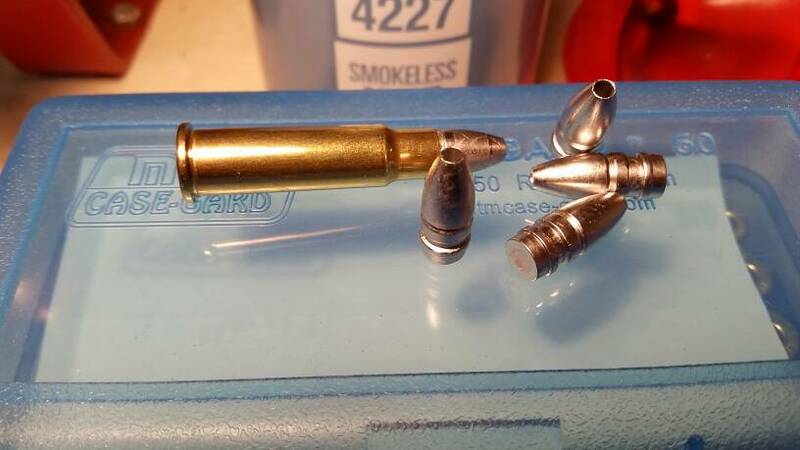 Has anyone working on 300 Blk with this gotten any results they care to share? I am hoping to get some cast this weekend and start load development after a little aging. I would appreciate any updates. Do I need to I can start a new thread for this question?